Gabi Campos is preparing to step down as chief executive officer of the world’s leading poker room PokerStars “to pursue other opportunities” after just over 15 months in the job. 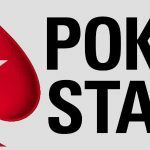 This all sounds very familiar as the Israeli only joined as PokerStars CEO on October 4, 2010, after leaving rival 888 Poker, where he was the managing director of their business-to-business (B2B) arm Dragonfish as he wanted to “pursue new challenges”. 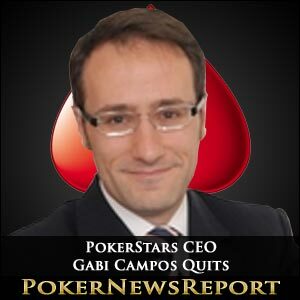 “PokerStars announced today that Gabi Campos has decided to step down from his position as Chief Executive Officer, effective February 1, 2012, to pursue other opportunities. 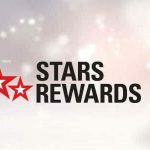 Campos was named as PokerStars’ new CEO back on July 20 of 2010, but did not officially take over until October 4, although he did assume some non-operational consultant tasks for them before then. 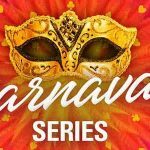 Before joining Dragonfish, Campos was a member of Israel’s military intelligence arm Mossad, and was also team leader with software provider Amdocs Israel and managing director for computer networking, information technology and telecommunications company Avaya Israel. However, he became part of 888’s team in 2007, signing up as senior vice-president/head of offering, before moving up to become Dragonfish’s managing director in 2009. This latest exit highlights the many managerial changes that have affected PokerStars since the events of Black Friday back on April 15 of lat year, when the US Department of Justice (DoJ) closed down numerous poker rooms, including PokerStars, Full Tilt Poker and Absolute Poker. Campos’ exit from PokerStars is the poker room’s third major departure since May of last year, when Austrian Thomas Kremser – the European Poker Tour (EPT)’s well-respected tournament director from 2004 onwards – decided not to renew his contract for season eight of the tour, saying he felt the “time is right to explore new adventures”. Kremser was also well known for taking charge of poker events at the World Poker Tour (WPT), William Hill Poker Grand Prix and Late Night Poker, as well as others, while he is also the owner of the Concord Card Club in his home town of Vienna. Then, just this month, Englishman John Duthie quit as a member of Team PokerStars Pro, as well as the EPT’s chief executive officer, with the television producer saying “it is time to move on”. The 53-year-old – who is also a highly skilled poker player – founded the EPT back in 2004 and is widely regarded as the man who propelled the tour into Europe’s wealthiest and most illustrious. But, as quoted above, the Leeds-born Duthie – as with Kremser – felt the urge to quit because of ambitions to experience other challenges and to get involved in “some amazing opportunities coming up in 2012 and 2013 as the US market prepares to open up for business once again”. Will this be the final departure from PokerStars as the poker room looks to cement their place as the world’s largest poker website? Or will we see more exits in the near future? Whatever the outcome, rest assured that Poker News Report will always bring you the latest poker news.